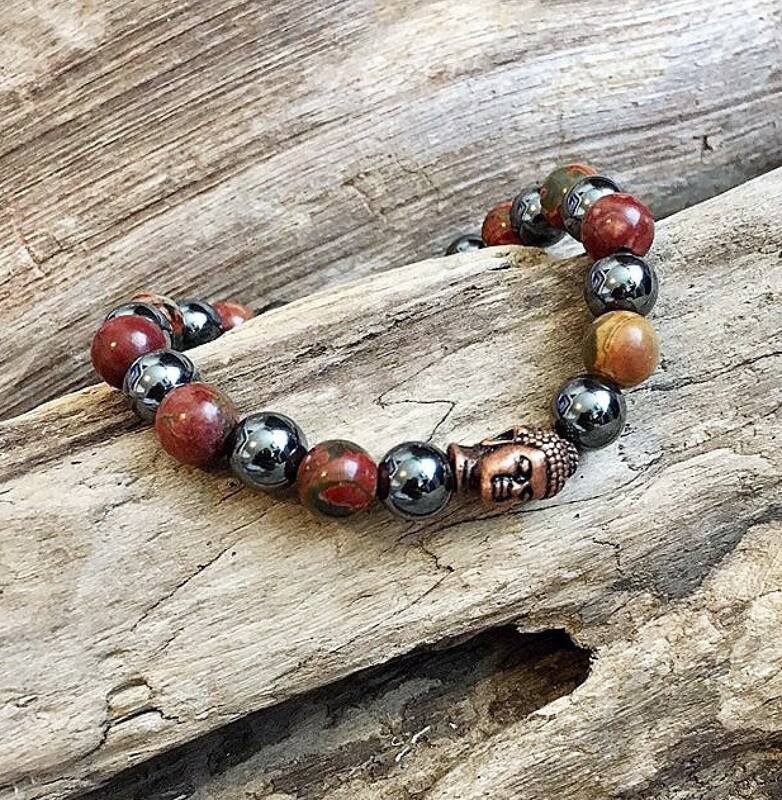 The Men's Grounding II Mala Bracelet features high grade Picasso Jasper gemstones along with dark silvery-grey Hematite crystals and an antique bronze Buddha to help calm anxiety, dissolve doubt and overcome addictions. Picasso Jasper often resembles a beautiful painting, hence the name Picasso. It reminds us to celebrate and enjoy life. 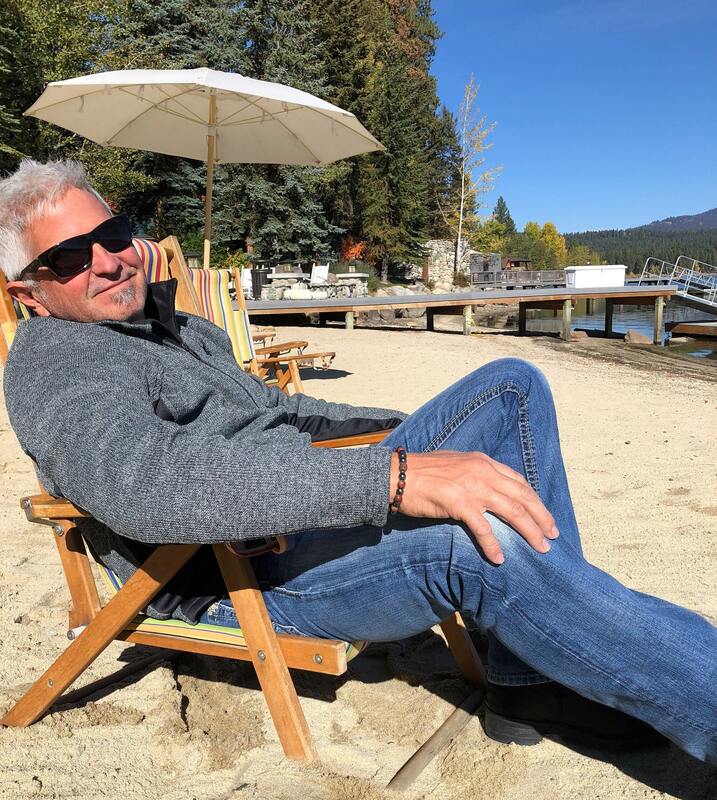 Picasso Jasper assists in the transformation of relationships by attracting like-minded people who become loyal and trusted friends, as well as renewing old friendships. It has strong grounding and calming qualities and helps to engender strength and self-discipline. Picasso Jasper can also promote weight-loss. Hematite has strong grounding properties that can help make you feel safe and secure in the world. It stimulates the mind, boosts confidence, and is excellent for pain relief. Hematite also helps overcome addictions and overindulgence. It balances the body's electromagnetic field to a stable equilibrium between the ethereal nervous system and the physical nervous system, thus creating a calm, peaceful state of Being. Hematite quickly dissolves doubt and prevents you from absorbing the negativity of others. 8mm high quality gems, strung on strong elastic stretch cord. One size fits most wrists. Custom sizing is available.